A canning factory of a daily capacity of fifteen thousand cans is a possibility for Starkville in the near future. A special meeting of the Oktibbeha County Chamber of Commerce was held on Monday night and the project was considered and discussed with the result that the body endorsed the movement and subscriptions to the capital stock are now being taken. Mr. R. M. Hendee, secretary of the Peterman Construction and Supply Company, a Chicago Corporation, is in the city and appeared before the meeting and made a proposition looking for the erection of a canning factory. The company that he represents is designers and builders of completely equipped food products plants. Mr. Hendee’s proposition was that his company would erect a suitable building, equip it with the necessary machinery and furnish an expert canner if the necessary capital was subscribed. The capital required to finance the proposition is about $20,000. Of course, it will not take this entire amount for the building and equipment but a site will have to be secured and operating capital provided. Mr. Hendee, assisted by Mr. Ed Taylor, secretary of the Chamber of Commerce, has been busy all the week soliciting subscriptions to the capital stock and has been meeting with fine success. Merchants and Farmers are being asked to subscribe to the stock and it is said that many farmers are taking stock and pledging acreage for the raising of vegetables. The plant when completed will be equipped to can vegetables and fruits such as spinach, beans, okra, tomatoes, pumpkins, blackberries, sweet potatoes, etc. The plant will give employment to from 50 to 75 people during the canning season and it will also give the truck grower and farmer a cash market for the fruits and vegetables the lack of which has kept many of them from engaging in truck farming. A canning factory for Starkville is now an assured fact. More than $18,000 of the capital stock has already been subscribed and the promoters are sanguine of securing the necessary subscriptions to bring the total to the full capital stock of $20,000. Practically all of the businessmen of Starkville subscribed to the stock and many were added to the list before the week closes. The Peterman Construction Company of Chicago who makes a speciality of building and equipping food products plants is promoting the factory. They became interested in this territory through correspondence with Mr. L. D. Garriott of Eupora, but who has lived near Phebe for the past several months. Mr. Garriott was instrumental in getting most of the stock subscribed among the farmers before a Peterman representative was sent here. He is a native of Indiana and had raised vegetables for the canning factories in that state. The building superintendent of the Peterman Company will arrive in the city sometime next week and it is hoped to have all the capital stock subscribed when he arrives. The Chamber of Commerce has endorsed the project and is assisting in getting the stock subscribed. Mr. Hendee, secretary of the Peterman Company has been in the city for the past week and he and officials of the Commerce body are pleased with the progress o f the of this community-owned enterprise, the interest being taken having exceeded all expectations. The Starkville Canning Factory, which started business in the early spring of 1926, has closed the season and is now making preparations for a larger and greater business for the year 1927 and the promoters are hoping for a great increase in the output over last year. 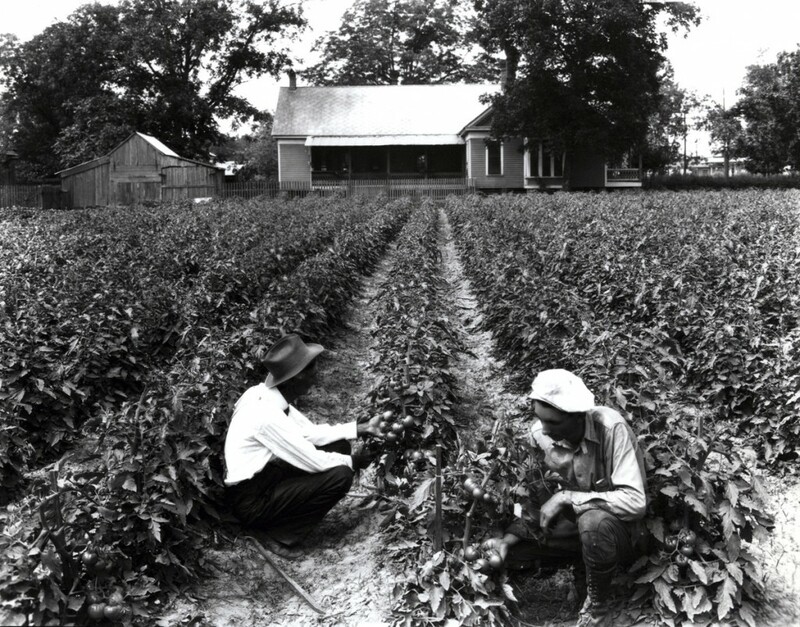 During 1926, the factory’s first year, it canned for the market approximately: One and one-half carloads of sweet potatoes, one carload of snap beans, 200 cases of tomatoes, 200 cases of okra and about 25 cases of beets. While to the average citizen this output does not seem very large, yet it must be considered that this was the first year of the factory and it was more or less experimental and it will take perhaps two years for the factory to get well under way. This year there will be more truck farming in this territory, as the farmers now realize that this factory is creating an immediate market for most all vegetables and fruits that can be raised in this county. It is apparent to the businessmen and farmers of the community that the canning factory is going to prove a great asset to the city and country. 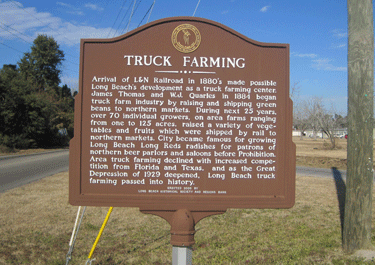 The farmers are being urged to put in truck patches and raise vegetables and other trucks for the factory. The market is here for those who will do it and it is a cash crop. From its first chapter to the ever-changing last work, the story of Mississippi State College is at epic of constantly expanding service and usefulness. Today the echo of his voice reaches the descendants of those who listened then, and the College through one or more of three strong arms reach every community of the state with its far-reaching influence. Their forebears draw today more than 2,000 young men to the landmark of technical training set up. It is a far cry from an enrollment of 2,178 in 1938 to a registration of 87 college students in 1880. It is equally as far to the days when the principal work of the college was concentrated in three buildings; when the president’s office, the dining hall and chapel were all in one structure; when the Professor of Science taught all of the ‘ologys’ and the Professor of Agriculture in addition to teaching every branch of his subject was superintendent of the college farm. The College Physician was also the College Veterinarian. Today the college grounds have been enlarged to more than 4,000 acres, and the buildings and equipment together with the grounds, are valued at about $7,000,000. About 300 employees handle this equipment. Starting in 1885 the college began an expansion program that has not abated – Creation of an Experiment Station. These plants, located in eleven counties, have been leased by the college to a legally organized cooperative association of producers within the area, at one dollar per year. The charges for meat curing run from one to three cents a pound. The rates for bee storage range from one-half cent per pound per month at Brandon to one and one-half cent per pound for a month in Houston. In addition, pork, eggs, potatoes, apples and miscellaneous products have been stored in large quantities during the first year of operation. Engineering has developed into a four-department school that offers a choice of specialization after the freshman year in Aeronautical, electrical, mechanical and civil engineering. 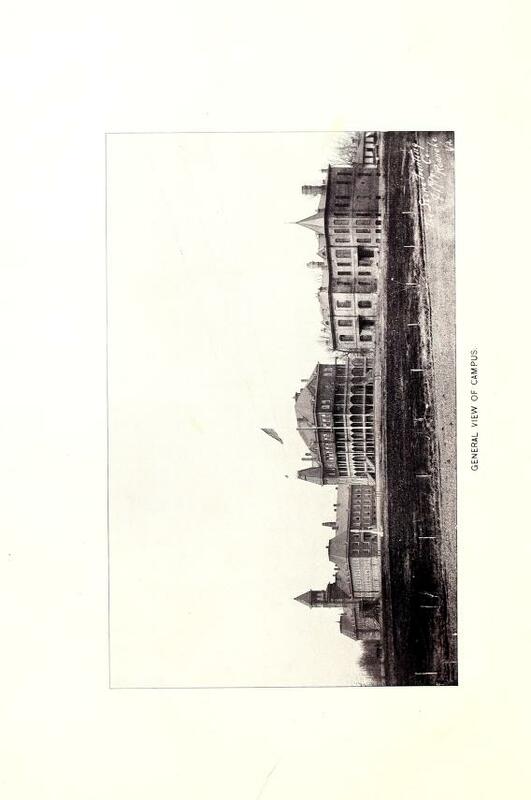 Need for a stronger course offering of the School of Science led to the establishment of the School of Science in 1911. This school, like agriculture and engineering has widened to include general science, pre-med, chemical engineering and physical Science. Realizing that business in Mississippi is dependent to a great extent upon agriculture, the college in 1914 established a School of Business that now offers degrees in Commercial Aviation, Merchandising, Banking and Accounting and General Business. The newest school, Education was established in 1935. It provides degree work in Agricultural Education, Commercial and Distributive Education, English and Social Studies, Industrial Education, Mathematics and Science and Physical Education. A Graduate School, Established in 1936, grants the degree of Master of Science in each of the undergraduate schools. Military training is a phase of instruction at Mississippi State and all other land grant colleges. It is a requirement of the Act founding a national system of such colleges and universities that able-bodied male students who have not reached their junior year are required to take military. The first two years or basic courses are required. The advanced course, whose academic and military records are above the average, is elective, and if successfully completed results in commissions in the Officers Reserve Corps. Military classes are not designed primarily to train soldiers but to instill the responsibilities of citizenship, teach due regard for authority and how to assume authority, develop the man physically and when the occasion arises to immediately become an integral factor in the nation’s defense should war be thrust upon a peace loving people. Uniforms are free and credits earned in military classes count toward degree requirements. Moreover, students of advanced military are paid about $9 per month, thus, helping many deserving and needy young man to compete their college education. 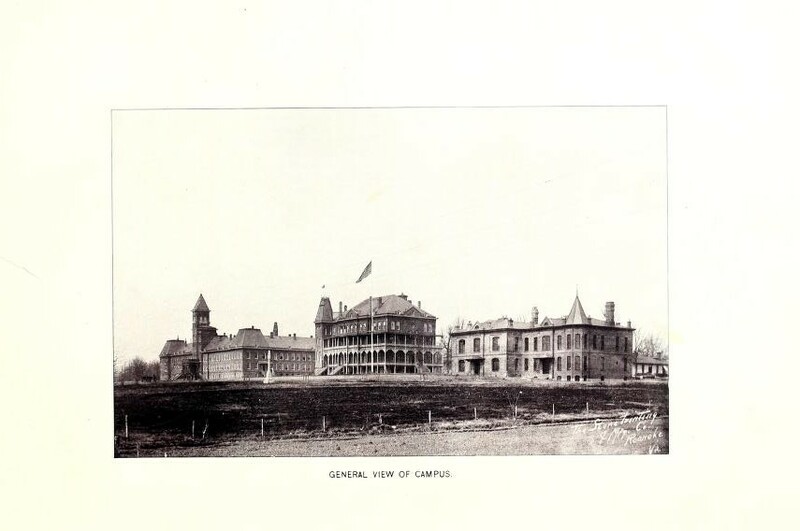 When the College was first established, students were under a rigid code of military discipline that assumed to anticipate every action of vigorous young men. That system held sway for years but was finally abandoned in favor of a more normal and self-sustaining code of behavior. Back in the early days a student was required to work daily on the farm, march to and from classes, salute professors, walk “extras,” wear the uniform at all times and meet military formations at least a half-dozen times each day. The demerit system was in vogue then, and the average student had to watch his step to keep from being “shipped” for excess marks. Social life on campus as it is in one’s own community is largely what the individual makes it. He cuts his own pattern and fills it out. Starkville churches make special provisions for college students by providing Sunday School Classes and young people’s unions specifically for them. The spirit of Mississippi state student bodies has always been a distinctive adjunct. It is a friendly group of students who have due regard for strangers and for each other. Many changes have been wrought since the college opened its doors to students in the Fall of 1880. Yet the spirit of those who have studied here has not changed. The oldest graduate and the youngest freshman possess a common love for Alma Mater that blots out, to a large extent, differences in age. At football games and other athletic contests, at alumni meetings, at homecomings and on all other occasions that have a common appeal the old and the young, if they are real sons or daughters of State, evince the same enthusiasms and loyalty for Mississippi’s largest institution of her learning. It is important to acknowledge the millions of women who have worked to create change and give women’s history meaning. We’ve come a long way, but there are still issues that need to be addressed, such as equal pay and violence against women. The lack of rights and struggles women faced took place not that long ago. Women couldn’t vote until 1920, It wasn’t until 1974 that the Equal Credit Opportunity Act came along. Before then, women had to use their husband’s names to get a credit card. It seems that the 1970s was when women’s history began to be taken seriously and in 1987, Congress declared March as National Women’s History Month. I was trying to find out when women started attending Mississippi A&M, now Mississippi State University so I could write this story. I remembered Chester McKee telling about a few women attending, mostly locals, back in the early 1900s and they got kicked out when one of the ladies was caught with a cadet in the library and it was not until 1932 that women could attend Mississippi State. Mrs. Powell has been a faithful preserving pedagogical co-ed from our Freshman year up, and although deprived of attending classes in her Senior year by action of the board of trustees debarring ladies from attending the college, by special ruling of the faculty she has been permitted to take her examinations regularly and will finish with the illustrious class of 1914. Cathryn T. Goree, director of the Center for Alcohol and Drug Education and assistant professor of counselor education and educational psychology, tells is like this. 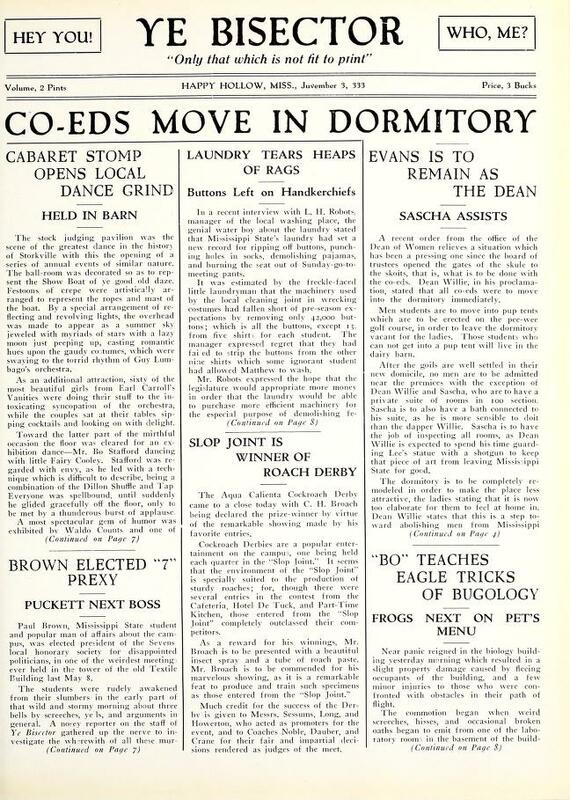 “The early 1900s was a contentious time for the student body of Mississippi A&M. As early as 1908 a general strike occurred over a discipline issue that soured the presidency of John C. Hardy and ultimately led to his departure from the college in 1912. Matters did not improve under his successor, George R. Hightower. The senior class of 1912-13 was, from the first, even more presumptuous than previous senior classes, in the view of the faculty and the administration. This group expressed the perennial gripe about the uniforms, of course. In addition, they awarded to themselves, by unanimous vote, a set of senior privileges without consulting anyone on the college staff. Early in the fall, the college expelled 35 students on charges of misconduct on an athletic trip to Birmingham. By late fall it was clear that the students were ready for a direct confrontation with the new Hightower administration. Since women students did not live on campus, this proclamation amounted to a requirement of no contact between men and women students outside of class. According to a contemporary newspaper account, the cadets were incensed at this order, viewing it as an insult to the honor of the ladies of the college. The faculty responded on Saturday by expelling 61 of the seniors for inciting the rebellion, but the students refused to leave. That night students fired shots from a dormitory room and flooded the hallways with water, ruining some of the furniture in the men’s rooms. On Sunday, Gov. Earl Brewer arrived to mediate the crisis. He spoke with the strikers in the chapel and in the dormitories all day Sunday and into the night. In this first meeting with the students the governor adopted a conciliatory tone, reasoning with the students and pointing out the untenable nature of their position. On Monday several key events occurred. The governor met with strikers again. This time his tone was firmer. He announced that he had secured injunctions to clear the campus of the expelled students. He called on underclassmen to use their own judgments in the matter rather than relying on loyalty to the seniors. That same day five of the women, including the three seniors, recanted their original statement. They circulated a second statement, saying that they had signed the first memorandum without knowing “its true nature,” and indicating that they did, indeed, support the action of the student body on their behalf. On Tuesday the governor departed the campus at noon, and he spoke with the strikers one last time before he left. This time he moved from mediation to confrontation. He told the strikers that if they had been men instead of boys, he would have met them with Gatling guns and bayonets instead of speeches. This was strong condemnation for the students, since Mississippi A&M was a military college, and all male students carried military rank and responsibility. By Tuesday, the day of the governor’s departure, the student population of the college had dwindled to 325, down from the normal 1,100 students. Clearly the strike was having a serious effect on the function of the college. But some combination of factors took most of the energy out of the strike by midweek. These factors included Governor Brewer’s intervention, the offer of President Hightower to readmit any striker who would make appropriate apologies, and the inability of strikers to secure places at other colleges (since the college would not issue transfer certificates for them). On Wednesday, the five women who signed the second, inflammatory statement withdrew from the college in support of the strike, saying that their fathers had forced them to sign the first disclaimer. Governor Brewer countered by announcing that the college simply would not admit women in the future. In the end, the college allowed the women and most of the male strikers to return and finish the year. All of the senior men were demoted to the military rank of private as a condition of their return. The seniors wore this dishonor proudly. They commemorated the strike and its aftermath by renaming the Reveille for that year Private ’13. 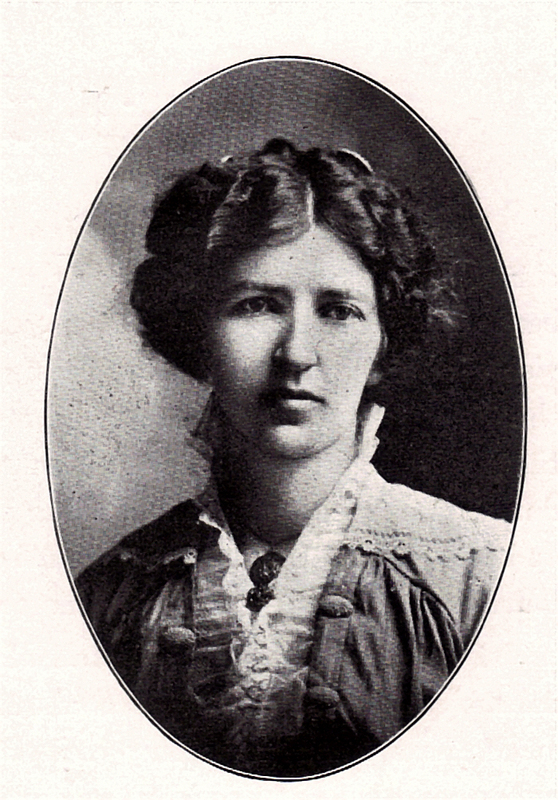 The three senior women who had signed the inflammatory statement supporting the strike all received bachelor’s degrees in the spring of 1913. But the trustees stood firm in their decision not to admit women the following year. The college struggled a bit with this policy. In an exchange of letters with the governor, President Hightower urged that an exception be made in the case of Pearl Powell, who was a junior at the time of the strike and appeared not to have participated in it. She was the wife of an employee of the college, with a young daughter to care for, and was not in the position to complete her studies at another institution. With the support of the “fathers and patrons” of the other expelled women, Hightower urged the governor and the trustees to admit Powell only. The governor responded that one exception would surely lead to others and, difficult as the individual case might be, he believed that the rule had to be enforced.